Samui Adventure Tour is the half day tour. Starting trip about 10:30 a.m. So, it is good for the gusts who don’t want to wake up very early. Trip will take you to see many places in Koh Samui. 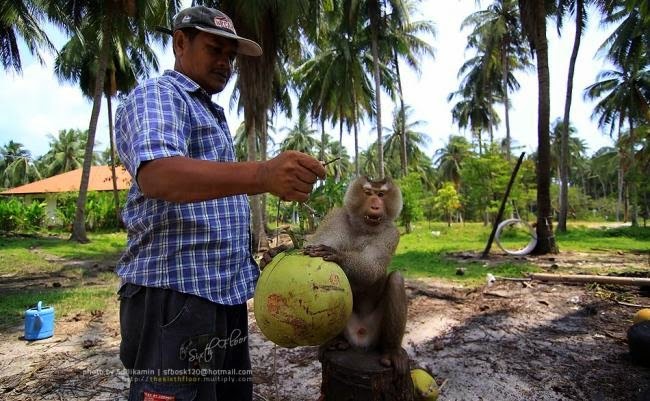 Go to Hua Thanon Village to see the monkey collecting coconuts show. Then have lunch with tasty Thai Food and transfer you back to the hotel. Nathon 11:10 am. / Taling - Ngam 11:15 am. / Maenam 10:20 am. / Bophut 10:40 am. / Cherng Mon 10:40 am. / Chaweng 10:50 - 11:15 am. / Lamai 11:20 am. You will arrive at the hotel about 16:30 - 17:00 Hrs.